DJ Workshop 2 — BANG! 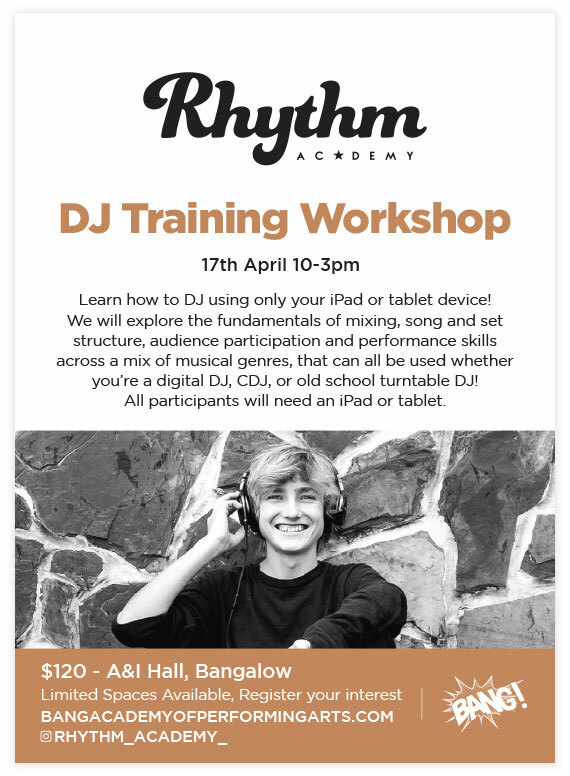 Learn how to DJ using only your iPad or tablet device! We will explore the fundamentals of mixing, song and set structure, audience participation and performance skills across a mix of musical genres, that can all be used whether you’re a digital DJ, CDJ, or old school turntable DJ! All participants will need an iPad or tablet.